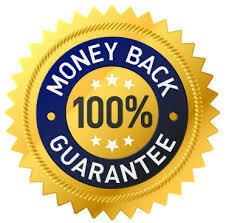 MONEY BACK GUARANTEE: You should beware that most companies in the online writing business are not legit, and do not offer a legit Money Back Guarantee or even honor their pledges. Most of often they fail to keep their promises; hence you hear every now and then a new client commending us of a job well done telling us how many times they have been conned by scam websites before. Do not fall into their trap by trusting them with your projects, only to deliver you a bogus paper that will fail you or refuse to offer you an alternative when a writer messes up your paper. At CustomNursingPapers.Com, we want all of our potential and existing customers to feel safe when placing an order with us! Our clear and concise money back guarantee policy allows you to request and also receive a refund on all orders that may not have satisfied you, and at any stage in case something goes wrong. This includes any doubts that you may have about services which you may feel are contrary to your securities or interest. However, we assure you that we honor all of our pledges and guarantees to the last word. 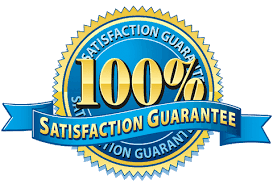 The reason why we enjoy a high customer approval and return rate is that we do not compromise on our guarantees particularly concerning our money back guarantee. Even though refunds are very rare, customers who have requested their money back come back to us sometime in the future because they know that when we fail to deliver a top quality paper; we always give their money back to the last coin. All money back requests are processed within 3-7 business days. We refund 100% of your money if you request a refund before your order is assigned to any writer. If you order had already been assigned to a writer, and it has already been confirmed (as shown in your client page), the amount to be refunded will be determined by the time remaining on the deadline tab. If half or less the deadline time previously accorded an order has not passed, you can claim up to 70%refund, and 50% if more than half accorded the order has passed. This is because we also do not like inconveniencing our writers as well, and we compensate them for the time and the resources they had invested on a canceled order. Kindly note that we cannot offer refunds for orders that had already been completed and delivered to you on time. You can only request for refunds on a timely delivered paper on the basis of quality concerns via the ‘refund’ tab on your client page. However, if you have not downloaded from its original pdf format the delivered paper or the order cancellation circumstances were not within your control, we might still consider a refund of up to 30%. If you pay for the same order twice we will assume that it was a mistake and refund you 100%. However, you have to prove that you received two receipts from PayPal for the same order and we will refund the extra payment as soonest possible. If you happen to pay for two identical orders, you should contact us to explain the situation before we could start on the order. Otherwise, we will assume that you placed the order on behalf of a friend/classmate/course mate prompting us to assign the orders to two different writers. IT IS YOUR RESPONSIBILITY TO CANCEL ONE OF THE ORDERS IF IT WAS BY MISTAKE OTHERWISE WE WILL CHARGE YOU FOR THE TWO ORDERS. Kindly see ‘I want to cancel my order’ above for reference on the applied procedure. We always try as much as possible to find the best suitable writer to work on our clients’ projects. However, sometimes it is still possible a qualified writer may not be found mostly because of too much work occupying writers in your field. If this happens, we do full refunds in the particular order. However, this is very rare for we have many writers both in-house and freelancers who are always ready to take on new orders as soon as they come in. In case you request that a completed paper be assigned to a new writer, our Dispute Specialists review your case and proceed with the request or a refund depending on the situation at hand. If there is lateness on order delivery due to your failure to upload the necessary attachments/documents needed to complete the order, your case does not qualify for a refund. To avoid such a situation, kindly ensure that you attach all the necessary material needed to complete an order on time. If for some reason we did not deliver the first draft of your order past the original deadline, you can still request for recalculation as per the initial deadline accorded an order. For instance, if you had placed that was supposed to be delivered within 12hrs but due to some reason it is delivered on the 24 hrs mark, the difference in the rates offered in the ‘Order Now’ tab is calculated and refunded to the last coin upon your request. If we deliver the first version of our paper when it is already too late, and you do not download it for the next one week, we refund every penny of your money. All lateness refund requests are to be submitted through your client page within 14 days. We cannot guarantee any refunds for any requests submitted later than that. Revisions deadlines are set separately so lateness refunds, as well as price recalculation, do not apply. We always advise our customers to choose the most suitable deadlines for order deliveries and also give time for any unforeseen revisions. Your final deadline should exceed the period you paper is due for submission by at least 40% to give yourself time to go through your paper. If our final draft does not satisfy you fully, you can always request for a revision, or request for a new writer to be assigned to your task. However, if we still do not please you, which is very rare, you qualify for a partial refund and you can ask this via a direct message to the admin. However, if you requested a partial refund on the basis that you revised the initially provided paper, you are supposed to attach your own version of the paper highlighting the revised parts and this could qualify you for up to 50% refund. Failure to produce the required information within 14days leads to the cancellation of the dispute and no refunds are possible after that. If you are fully unsatisfied with our work, you qualify for a full refund. You should first request for a revision, or that a new writer is assigned to your order. If the second writer still fails to meet your expectations, we refund you all of your money within 7-14 days. However, if you choose this option you should be aware that the paper/s we composed are immediately posted online for commercial purposes. 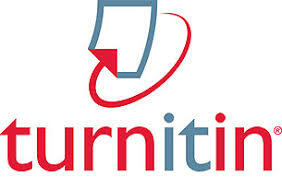 Therefore, if we agree to refund all of your money, but still submit our paper, it will reflect 100% content similarity on www.grammarly.com or www.turnitin.com. You then have 14 days to send us your own plagiarism-free version of the paper so that the Dispute Department can ascertain that you indeed turned in your own paper. We discard this paper immediately your claims are established and then refund all of your money to the last coin. Failure to provide the need information within 14 days will lead to the cancellation of the dispute and o refunds are possible after that time. In case you request for a full refund, CustomNursingPapers.Com reserves the right to publish the paper online for commercial purposes. However, we do not keep any sort of essays or research papers databases and “publishing online” means that the paper would be Googled in a search engine, and it is available to any anti-plagiarism software, which would link it back to our website. Sometimes we publish such a paper as a sample essay. The purposes or this action is to protect our writers’ work just in case a dishonest client request for a refund after having used our paper. Additionally, you cannot qualify for a full refund after having clicked the “Approve Order” button on the client page. However, you are eligible for a partial refund just in case you clicked on the button by mistake. All refund request should be made within 14 days after having received the paper, otherwise, no refunds are possible after this time. for all orders being submitted in series or following the Progressive Delivery, a client can request for revision any time within a grace period of 21 days. However, refunds are only for a particular chapter or topic and you cannot request a refund or a revision for a previously approved chapter/part of the paper. This means that you can only request a refund on the immediate part that totally displeases you even after a revision or two. The 10% extra fee charged for assignments submitted in series or on Progressive Delivery is non-refundable. if you pay for VIP support or pay for the services of our top ten writers but we are unable to find one for you and we give your project to a writer with lower qualifications (such as Best Writer Available) instead, we refund you the extra fee charged for the special services to the last coin. Kindly note that you have 72hrs to approve your custom paper from CustomNursingPapers.Com (or part for the assignments completed in series or PD); otherwise, the system automatically approves all delivered orders 72hrs past the deadline. From the moment the system approves your order, you have 14 more days to request a refund. No refunds are possible after 14 days from approval.